Chartered bus will depart at 7:30am from St. Joseph’s Catholic Church located on the Westside of Indianapolis: 1401 South Mickley Avenue. Free parking is provided. Chartered bus will return at 7:30pm Saturday evening. *October 21 is the feast day of the foundation of this religious community. Saint Mother Guerin and her five companions first set foot on the soil at St. Mary of the Woods on October 22, 1840. Despite hardship, she knew how to turn to prayer in order to cope with the many challenges that confronted her and the community. She was a person of deep faith who led others to God. 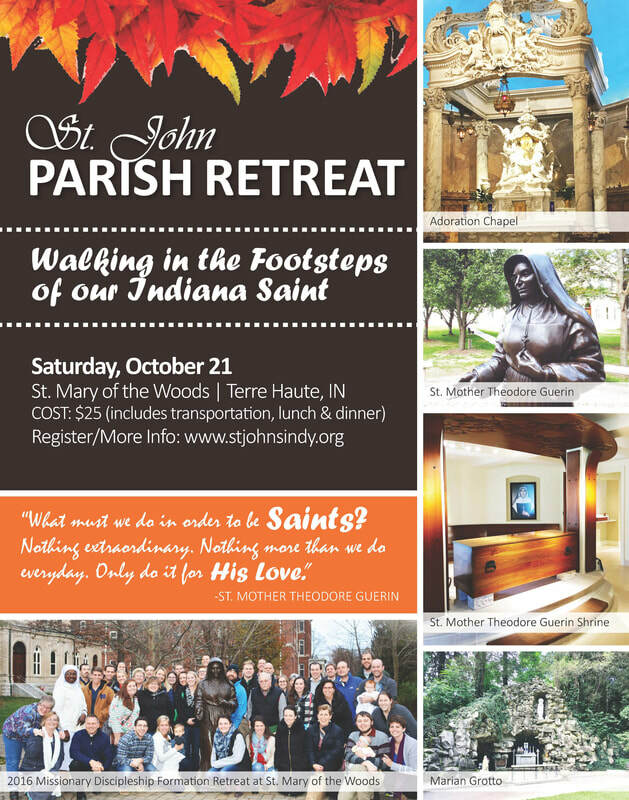 During this retreat, we will get to know the woman behind the saint and offer time for prayer and reflection. Included in the cost is chartered bus transportation, lunch and dinner.